Stanley C. Buntyn, age 67, of Munfordville, KY, passed away on Friday, December 7, 2018, at the Tri-Star Centennial Medical Center in Nashville, TN. 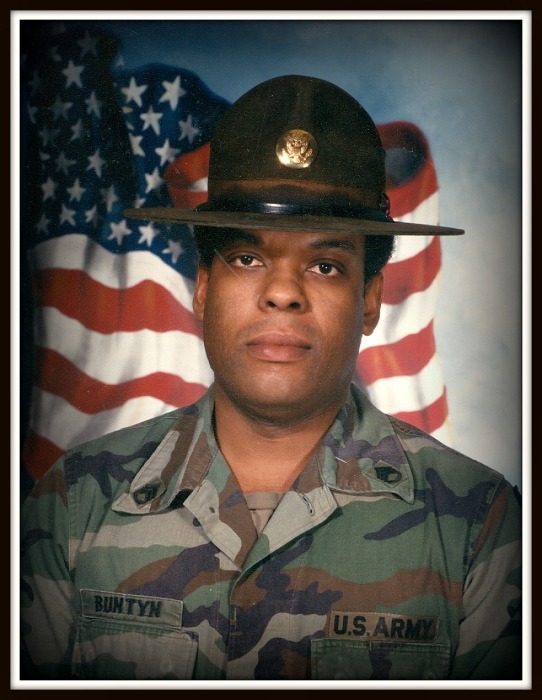 He was a retired member of the U.S. Army having earned the rank of E-8 Master Drill Sergeant. He was a member of the Woodsonville Baptist Church. He was the son of the late John Wesley and Mary Brown Buntyn. He is survived by his wife, Brenda Rice Buntyn of Munfordville; two sons, Martin Buntyn (Mickie) of Gainesville, GA and Dallas Rice of Munfordville; two daughters, Gwen Rice and Amaya Rice, of Munfordville; one sister, Linda Mullins (Jimmy) of Middleton, TN; two brothers, Matthew Buntyn of Killeen, TX and Rev. Wesley Buntyn (Carolyn) of Munfordville; and three granddaughters, Makayla, Meisha, and Mya Buntyn of Gainesville, GA.
Stanley requested to be cremated. A memorial service will be held on Saturday, December 15, at 11:00 a.m. at Woodsonville Baptist Church in Munfordville with Rev. KT. Ford and Rev. Terry Rice officiating. The family will begin receiving family and friends beginning at 9:00 a.m. before the service on Saturday. Brooks Funeral Home is in charge of arrangements.